South Carolina native Pam Taylor is locked and loaded and ready to steal hearts with her authentic, heavy-hitting American roots rock sound. 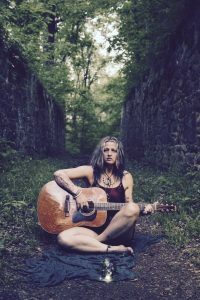 After starting the Pam Taylor Band in 2011, Taylor hit the top of the Roots Music and Blues Music charts with her debut album, Hot Mess, in 2012 and sold out music halls as a country/blues duo in 2015. Now in 2017, Taylor has overcome health issues and a broken heart, and has redefined herself again as a solo artist with a healing message. She has documented her journey in her upcoming third album, Steal Your Heart, set to release on September 22, 2017. Growing up in Lancaster, South Carolina, Taylor has seen the highs and lows as a musician and in her personal life. Having formed the Pam Taylor Band, she released her first album in late 2012, Hot Mess, to much critical acclaim. Her debut release hit #1 on Roots Music Report, #3 on Sirius XM BB Kings Bluesville, and #25 on the Living Blues Charts. However, the band broke up before their major tour. 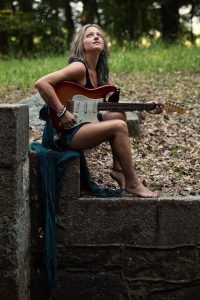 She ended up taking guitar lessons from legendary blueswoman, Debbie Davies, and songs poured out of her. After meeting southern rock/country artist, Robert Johnson, who became her life partner at the time, they formed the duo called Stolen Hearts. Together, they released the album, Dirty Southern Soul in late 2015, and they sold-out their CD release show at the Evening Muse in Charlotte. Taylor garnered numerous accolades over the past several years. 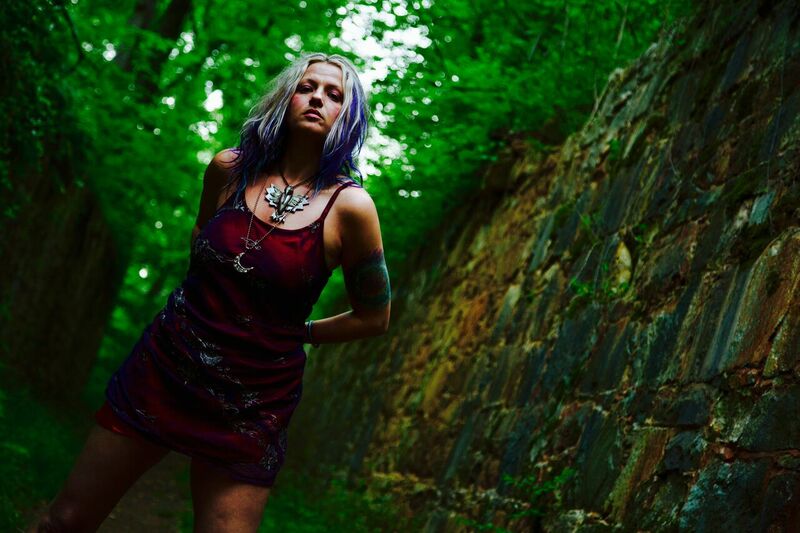 She won the Queen City Music Award for Best Female Rock Artist three years in a row (2013-15), and won the 2012 Charlotte Music Awards for “Best Female Rock Band” and “Best Blues Band.” She also won the 2014 Carolina Music Awards for Best Female Rock Artist. 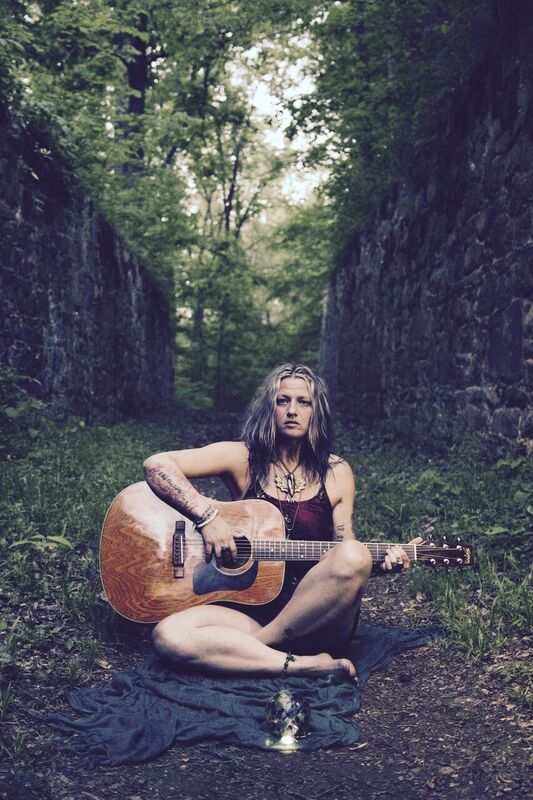 Taylor was also voted Creative Loafing Magazine Readers’ pick for “Best Local Songwriter” and was the cover feature artist for a special Women in Blues Edition of Blues E News Magazine in April 2013. 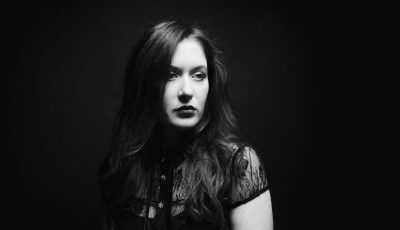 Taylor has also opened for or shared the stage with the likes of Cowboy Mouth, Shooter Jennings, John Primer, Los Lobos, Debbie Davies, and Kofi Burbridge (Of Tedeschi Trucks Band), to name a few. It was in July 2013 where Taylor hit a health roadblock. She suffered from a ruptured disc in her neck, which left her with a paralyzed left arm and in severe pain. After taking a holistic approach with acupuncture, she was pain-free after a few sessions. Her songwriting then transitioned to more about healing and peace. She eventually split from Johnson in early 2017 and went back on her own as solo artist ready to release her new solo album this fall. Today, Taylor has found herself stronger and more confident in herself and her music than ever. Jan Marius Franzen of Blues Magazine calls Taylor “the ‘Rising Star’…from the small town in South Carolina [who] is breaking boundaries in several respects. A must have!” Her upcoming album, Steal Your Heart, has the message that loving oneself is the basis for true healing and happiness. Be sure to steal your copy this September! Thank you! It’s my pleasure to share my time with you and your readers. 2017 has been the year for change, growth and expansion and it hasn’t been easy to navigate but totally worth going through to get here. This year marked the beginning of my solo career so it has been a totally different approach than last year or any year, for that matter. Finally, it’s all about me! About 10 years ago, I started my music career with a 7-piece band and now I’m down to me. The incredible journey to here has been like shedding layers of an onion and now I’m at the pearl. I don’t think I had a choice in the matter. It chose me. When I was in the second grade, I heard “Amazing Grace” in church and after the service, I climbed on the piano and started to play it by ear so my mother immediately put me in piano lessons…which immediately ruined my desire to play piano. Although, I took lessons for seven years, guitar is my instrument. I come from a musical family so it’s in my blood, but I never thought in a million years that it would become my profession. It all started as a way to help me cope with my strong emotions. That’s still the basis for the creation of music for me today. I’ve been told I would make a great life coach or motivational speaker. I do enjoy sharing my journey with others and it does have a positive impact on people so I could totally see that happening. I also create jewelry using crystals and write blogs. Everything I do seems to have a theme of healing and positivity so anything in the field of helping others would be a good fit. I would also love to help other aspiring musicians figure out this music biz that I’ve been tirelessly trying to figure out for over a decade now. I can see me starting a record label one day catering to artists with a positive message as well. Just a fun fact: I used to be a personal trainer and sold and repossessed used cars for a living. I always like to ask artists about where they came from and how that city or town has influenced them as an artist now. So how do you think growing up in your hometown in South Carolina has shaped who you are as a musician and the art that you create? Well, there isn’t much to do in a small town so it encourages you to get creative. I used to get bullied and had a tough time in school, although I made good grades, l was always in trouble for cutting class. Boredom was the culprit. I took a turn down a dark path with drugs and alcohol…bad boys and bad choices. That’s when the songwriting started. I had a lot to say even at 18. My emotions used to get the best of me but they were also my saving grace. I’m just glad I survived to tell the stories. I sure earned my right to sing the blues. Let’s talk about your new solo album, “Steal Your Heart,” that will be released on September 22nd. How did this collection come together? What was the inspiration for these songs? This record is all about me navigating major life changes like, losing my 9-5 job of 15 years, dealing with family issues, falling in love and becoming a step-mother for the first time and overcoming debilitating physical ailments, depression and anxiety. These songs are my anthems and literally helped me to steal my own heart, which is why it’s the name of my record. I have a drawer full of songs and these 11 seemed to be the best way to document this time in my life. It was really hard to narrow it down. That’s why I’m ready to start on my next one. I love being in the studio. What was it like making music on your own? Did anything surprise you about the process to make this album? Obviously, it was a little scary to be on my own. It takes courage to be a solo artist, something I didn’t know I had until I needed it. There’s no one to blame if you mess up. Like my song “Already Alright” says, “I got to bring it cause it’s all on me”. I have embraced it and now I have never felt so free. I was mostly surprised by how my record translates. It doesn’t sound like I recorded it in pieces. Technology today amazes me to no end. I love the whole process and seeing what I’m capable of, as far as my imagination goes. These songs really came to life and I was able to put what I heard in my head into the recording. I know having the “best of the best” musicians and technicians helping me was the glue that bound it all together. How do you think you have grown as an artist on this forthcoming album? Has what drives you to make music changed at all since you first started making music? The level of my own musicianship has grown by leaps and bounds from my first record, Hot Mess. When I lost my job, I was able to spend time to honing my craft. I took Skype guitar lessons from blues woman, Debbie Davies, for a year and that really catapulted my songwriting. I only played rhythm and one short solo on my first record. I am proud to say that I do all the guitar work on Steal Your Heart. Life experience really brought on the growth as well. I went through things that I thought would break me and I survived despite my own insecurities and doubts. This changed everything. My music started to have purpose. I’d love to know more about how you were able to recover from your ruptured disc in your neck with holistic therapy and acupuncture. How did your songwriting transform from this difficult experience? The doctors told me that I would never play guitar again because of the nerve damage from the ruptured disc, that seemed to come out of nowhere. This did not sit too well with me. I was just getting started. My new record was doing great, and I was planning my first tour, but everything was put on hold. I have never been a big fan of conventional doctors and for good reason. They wanted to put a big needle in my neck full of steroids. (Oh, hell no!) One of my frans (friend + fan) told me about acupuncture and how it really saved her. I was ready to try anything at that point. After the 2nd session about 75% of the pain was gone and I had mobility in my neck again, almost like magic. By the 7th session, I started to regain feeling in my arm and fingers again. Then music therapy began. I had to relearn the scales and retrain my fretting hand but I never gave up. I wanted it too badly. Going through this experience changed my whole life, so of course it changed my songwriting. Out of this experience came the song “Ordinary”. That’s how I felt, spending my days on the couch, in severe pain and agony while life went on without me. I wrote myself out of the darkness, though. This sent me on my path of self-healing, and I discovered just how powerful I really was and exactly what I was powerless over. Pain is a great motivator. Since then I have learned so much about how emotions and physical ailments work hand in hand. If I’m not careful in taking care of my emotions, after a while, they manifest into physical ailments to remind me of what needs work in my spiritual life. I also learned that my body is an amazing self-reliant vessel that, with the right tools, can heal from any kind of disease. I was so amazed by the science behind healing that I started to really study it. I got certified in Reiki and started experimenting with the magical capabilities we all have. This is the focus of my message today. I want everyone to know that pain is inevitable but suffering is optional, and we all have the ability to heal ourselves and to heal others. If I can do it…anybody can. Can you remember what the very first songwriting award was that you won? What was it like winning it? It was back in 2012, I don’t think my first record was out yet, and I was voted “Best Local Songwriter” by Creative Loafing Magazine. I was in shock. I was wondering how they even knew who I was. Most of the awards/nominations were like that at first. I couldn’t believe it. Obviously, I was excited and proud of my accomplishments, but mostly just grateful. I think a lot of the local songwriters that had been around for a while were a little miffed about a no-name getting the recognition. Who is this Pam Taylor person??? When you listen to my new record you will find that I’m inspired by many genres and don’t stay inside any one box. Most of my favorite artists have passed on like, Koko Taylor, Etta James, Sean Costello, and of course, Elvis. The most versatile artist that actually sparked this whole fire is Delbert McClinton. He is an amazing songwriter and he writes in every genre. My dad turned me on to Delbert and we even went on his Sandy Beaches music cruise. That really started to get my music gears turning. I was newly sober and the blues was hitting home. I discovered artists like Tommy Castro, Tab Benoit, Teresa James, Taj Mahal, Marcia Ball, Susan Tedeschi and so any more. This “roots” music was calling to my heart. I’ve been blessed to have already worked with some of my favorite artists, like Tommy Castro. I’ve sat in with him and opened for him several times now and, I owe a lot of my drive and success to him. JJ Grey would definitely be on my bucket list of artists to work with and I’m sure it will happen. Anything I put my mind and heart to seems to come to pass. Just the other night, I opened for Boyd Tinsley of Dave Matthews Band. I would have probably laughed at you had you told me this just a few years ago. I don’t doubt much today. The message of my music is one of hope itself. I know that it’s getting across already. The feedback I get is tremendous. People are getting it. They cry, laugh, dance and seem to let go at my shows. I have people come up to me after my set and tell me how they related so much to my songs and how they really loved hearing the story behind it and that they got the message. I’ve have people paint pictures of mountains for me and one even got a tattoo because of my song “Mountain”, which is now their anthem too. I knew that something magical was happening because of my music just with those gestures. I want to instill the idea that music is a common thread and can be a conduit for healing. It’s all vibrations right? With the right vibrations, healing can begin. If we all “spread the thread” in this vibration based world, this is how we can really effect change. In my experience, It all starts with loving oneself. That’s what “Steal Your Heart” is all about. Let’s love ourselves, one another and raise vibrations. Don’t worry about trends. Write from the heart and do your best to stand out. Music is more in the hands of the artist and listener now more than ever so it’s easy to get your music out there. Just don’t quit until the miracle happens. It can be very frustrating at times because as an artist, you’re really putting yourself out there for the world to see so you can’t take anything personally. 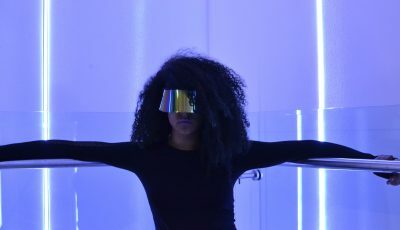 Everybody has their own opinions about what music should sound like and at the end of the day, there are enough potential frans to support you and your unique music, you just have to find them and focus on them not on the naysayers. Keep moving forward, no matter what; A path will be formed. It’s not the easiest thing in the world, but nothing in this world that’s worth it ever is. In the end, you will be glad you didn’t give up because there’s a place for everyone, you just have to carve it out. And remember, you are beautiful, loved and supported, always. Once again, if I can do it…. Yes! I am about to embark on my first Euro solo tour. I leave August 9th for Scotland and will end up in Israel before heading back home to tour the US. This will be the first time leaving home for this long, and I am so excited and ready to share my music with the world. The biggest gig is the Edinburgh Fringe Festival. I am also doing some charity events, kids songwriting workshops and I’m even playing for members of Scottish parliament. I’ll surely have to watch my mouth! I love you all!! And remember…be the light, give the love, share the music.